Speyside may be the most densely populated whisky region in Scotland, but this week Dave Broom explores three of its lesser-known distilleries through the eyes of independent bottlers. Starting off in Rothes with Glen Spey, a Diageo-owned distillery which is a major contributor to the J&B blend, Broom finds a pair of Cadenhead bottlings to be honeyed, nutty and, in one case, ‘well worth a gander’. Sticking with the same distillery but switching to a bottling by Speyside stalwart Gordon & MacPhail, we move on to a Glen Spey that’s all about gentle fruits and vanilla; an expression that’s at home between the two Cadenheads, Broom suggests. 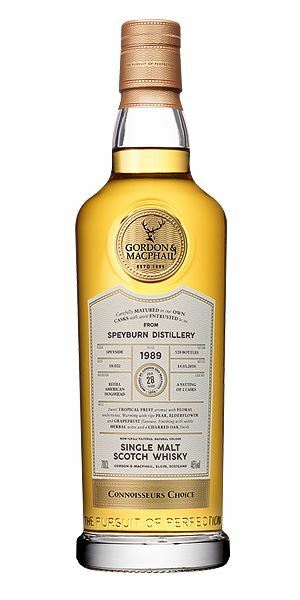 Heading less than a mile up the A941 out of Rothes to Speyburn, Broom finds an oak-driven 28-year-old to be dry, shy and ultimately a spirit overpowered by wood. 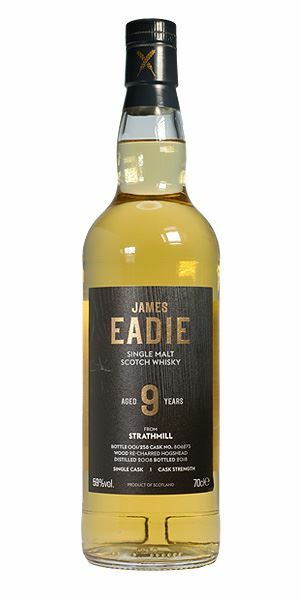 East to Strathmill distillery now, and an ‘inoffensive’ nine-year-old from James Eadie that is sweet, oily, but just too punchy. A 13-year-old from the same distillery, bottled by Gordon & MacPhail, demonstrates a marked improvement, with Strathmill’s oiliness and sweet fruit reappearing, yet Broom can’t help but feel it’s a whisky that could have rested a wee bit longer. There’s some heat here along with a light, slightly almond-like element and hints of warm wheat chaff and dried apple. The slight tension suggests that water might be beneficial – the wheat field is now dry hay, while there is added liveliness and a delicately perfumed element that stirs in green bean, spelt and almond oil. Things become considerably sweeter, with a general upping in terms of confidence thanks to a tongue-clinging texture. There’s vanilla-accented Bakewell tart (with a cherry on top) to begin with, then some honey nut cornflakes and a light oiliness that pools in the middle of the tongue. As it progresses, things start to become more aloof once again as a dry, biscuity element takes charge. While dilution doesn’t affect the start and middle, it pulls out some richer fruits and more almond towards the back. Now the interplay between oils, cask and crunch is better. Ripe, soft and expansive, with some more of that wheat chaff quality. An ideal aperitif that’s well-balanced and, when water is added, has some layering. Combines starting on a warm late summer day. King Harvest Has Surely Come. Medium-rich, with an immediately rewarding mix of toasted wood, golden syrup, fresh herbs and almond (again) that’s balanced with a kick of dry leaves. 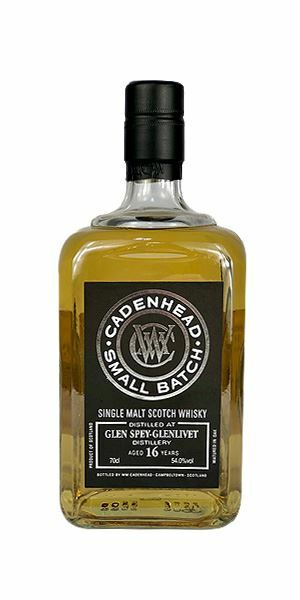 It has more weight than the 16-year-old and is beginning to show good mature elements, with more pineapple tart pastry and water custard, Horlicks, and a honeyed element that makes it a kissing cousin to Balvenie. Develops beautifully with corn oil, coconut cream and hot butter. Full, round and sweet, and once again demonstrating good maturity. That honeyed element gives a silky texture, with the maltiness adding little more than a balancing nutty background. There is heat, though, and it’s one that adds in orange barley water, that almond, light red fruits and a general thickness to the mid-palate. A sudden jump into spice and a squeeze of citrus. Balanced and quite rich. Well worth a gander. Late summer, the scent of Morning Glory flowers on the border. What do you mean ‘don’t eat the seeds’? Fresh and light, with lower cask influence. There’s touches of fresh laundry with washing powder, light floral scents and a hint of custard, with almond blossom underpinned by nuttiness. There’s a sweet, porridge-like element in the background and more estery fruits – pineapple especially – while water brings out mace, gorse blossom and milk chocolate. There’s some maturity here. The sweet estery fruits are now mixed with red berries and tinned pear, while the big, creamy element continues to sweeten things, ending up with rhubarb tart and custard. Thick and silky and slightly less oily than the others, but with a blossom-like quality. The mid-palate is quite firm with a certain zippy acidity and, finally, that nutty undertow picks up. Water thins things out too much and makes it too dry. When neat, there’s gentle fruits and light vanilla. Sits neatly between the two Cadenheads in terms of character. 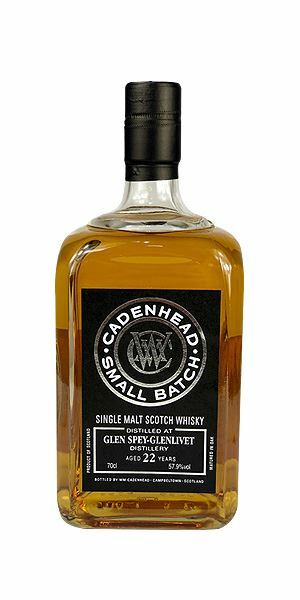 With a dram like this You Don’t Miss Your Water. Pretty cask-driven, with rich oak tones that come over like a new Moleskine notebook, with vinyl, added wax crayon and then wine gums and Williams pear. Water brings out dried orange peel, some reed and a glimmer of estery fruit, though sadly the wine gums have gone. It fades quickly when diluted. Sweet, with a lot of coconut, while the soft, mature elements add an underpinning. Touches of red fruits now, but just as it seems to be getting going it flattens. Water makes the cask lean in a little more, adding some grip and casting a stern glance at the fruits, which are nervously trying to appear. They soon retreat. Drying and slightly astringent with preserved lemon – and lemon thyme. The spirit doesn’t seem up to the rigours of this length of maturation. Very immediate, with lifted Juicy Fruit chewing gum to kick off with, alongside ripe melon, light olive oil and lime cordial. There’s some slightly prickly heat and a light touch of malt bin in the back. As things develop, so you pick out courgette flower and the smell of a polytunnel in summer. With water, things become slightly chunkier, with milk sweets and a hint of lemon. It still remains pretty punchy. That immediacy on the neat nose now translates into a slightly spirity start, and the heat slightly obscures the apricot and ginger elements. Water comes in to soothe the burning tongue with cream and add in a light floral element and more of the melon. Sweet, juicy and slightly hot. While not massively complex, there is an easy-going, inoffensive quality to this. A brief trip to Cantaloupe Island. Fresh. In fact, it’s a mix of freshly-baked white bread with added pineapple, foam banana, alpine flowers, icing sugar and marshmallow. The bread now changes to semolina flour, while there’s a sense of a light oiliness. Water makes things airy, crisp, and slightly starchy, with very subtle hints of coconut cream in the background. While the start is light, there’s a fat, Chenin-like oiliness to the middle of the tongue, alongside nodules of sweet exotic fruits. Water helps to expand this and, as with the Eadie, adds a smear of creaminess – it’s now eating a tropical fruit blancmange. That said, the starchiness seen on the reduced nose also makes its presence felt towards the back of the palate. Some light hazelnut, ripe pear, coconut and red cherry. A simple dram that you can’t help feel is only now just getting going. Pause, think, don’t just Walk On. Batch 160 10/08/2018 A concatenation of Caol Ilas with a couple of neighbours thrown in for good measure. 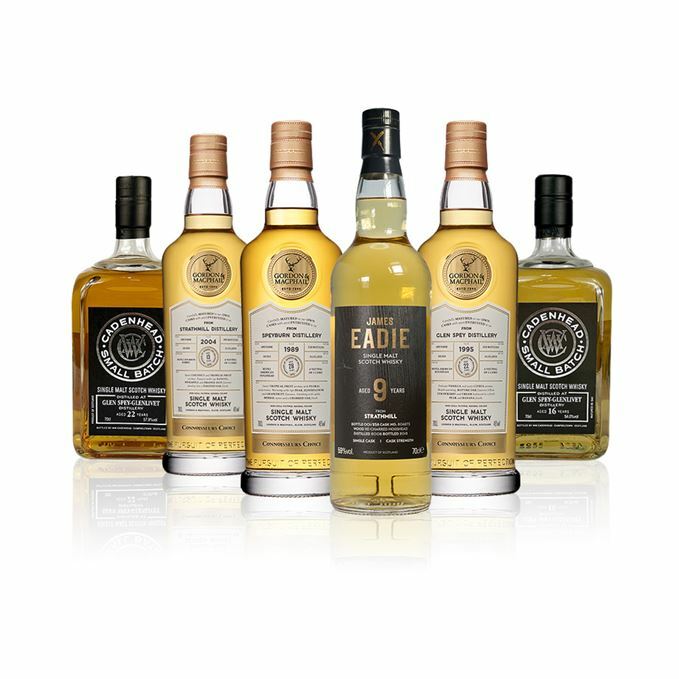 Batch 158 27/07/2018 Glenfiddich Fire & Cane, Macallan Edition No 4, Talisker 40 and Mortlach’s new core range.